The landscape of telecommunications is changing. The mobile revolution is maturing and entering a new phase of slower growth. The rapid spread of fibre optic networks is increasing the ability of existing operators to deliver broadband but is also opening up possibilities for new players. The value of being “connected” continues to grow even as the cost of access slowly comes down. For those without access, the story is more grim. Existing operators are loath to expand infrastructure into sparsely populated poor areas and new operators are limited by access to spectrum and affordable backhaul networks. As access to digital communication becomes more strategically valuable and as the importance of ensuring that everyone has affordable access to it increases, the need for transparency also increases. In order to have accurate data on progress, to ensure fairness, and to identify opportunities for the future, we need public information on the availability of ICT resources and how they are utilised or, in some cases, not utilised. There are a number of key areas of where transparency could make a big difference: Fibre, Spectrum, Towers, and Pricing. In each of these areas, good transparency practice does exist but it is more the exception than the norm. The goal of an Open Data agenda for telecoms would be to normalise these good practices among regulators and operators. The spread of undersea fibre optic cables around Africa since 2009, followed closely by the rapid spread of terrestrial fibre optic infrastructure, is nothing short of a revolution. It has spread far faster that anyone would have imagined possible. There are perhaps only two or three countries in Africa that do not now have a national fibre optic backbone. Many countries have several. Fibre optic networks are the deep water ports of the Internet; they enable broadband capacity at orders of magnitude larger than any other kind of access technology and at very low latency. For terrestrial networks in particular, the capacity of these networks is so great that it is effectively a non-rival resource: access for one service provider does not diminish opportunity for other providers. This has tremendous potential to level the playing field in terms of access provision. Any would-be service provider with affordable access to a fibre optic backbone has the potential to be a serious competitor to more established network operators. You might imagine that national governments and private operators would be trumpeting their investments in fibre optic networks and proudly displaying maps of their progress. Yet it is not so. The African Terrestrial Fibre Optic Network map was built over the last five years by scraping public sources where available, requesting information through official channels, and often begging for favours from contacts in the industry. It has been a laborious and painstaking process of piecing together a patchwork quilt of maps that has involved interpreting sources that leave a lot to be desired in terms of information and accuracy. The reluctance of operators to share this information betrays an apprehension that it may somehow compromise their competitive edge. But in many cases, operators have simply not considered the issue from a strategic perspective. In 2012, I asked Telkom South Africa for a map of their national fibre optic network. They declined. I followed up with a formal request under the Promotion of Access to Information Act and the request was still declined with the explanation that it might compromise Telkom’s commercial interests. It was only when I took the issue up in public that Telkom finally agreed to share the information. I like to think it is because they realised that there was more upside for them in making the information public than in trying to keep it secret. This attitude still prevails among operators and often governments too. This sort of “top-secret” response stands in stark contrast to companies like Dark Fibre Africa and Liquid Telecom who readily publish maps of their fibre networks. Dark Fibre Africa really stand out in the detail and ease-of-use of their maps. This sort of good practice is easily replicable by other operators. It is just a case of changing the norms. Why is it important to make fibre optic cable maps public? Taking this knowledge out of the narrow group of stakeholders within which it resides and opening it up to public input and discussion can have multiple benefits. 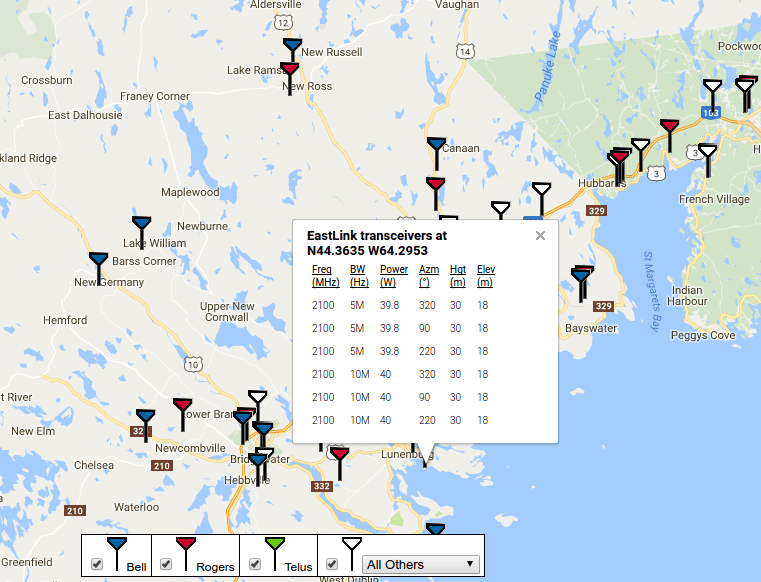 For example, a small rural municipality might determine from a public fibre map that it is in their interest to invest in 50 kilometres of fibre network to connect to a nearby network. A province or state might determine that their region is suffering due to a lack of fibre infrastructure investment. A school or a hospital could fund raise for better access if they can show that a fibre optic cable is within a reasonable distance. From a national strategic perspective, fibre optic infrastructure is now comparable in terms of importance with other basic infrastructure like roads, railways, and bridges. The public should be aware of it in order to identify opportunities to connect to it and to identify gaps where more investment is needed. Making this information public can also be good for operators who can use the scope of their investment in fibre infrastructure to market their services. The AfTerFibre map is a small step in the right direction but it currently takes an unreasonable amount of effort to unearth network information. We need to reset default practices to sharing fibre network information. And not just the network itself, but the location of points of presence and the terms on which access is available. Demand for broadband is increasingly non-linearly in Africa, with the result that backhaul networks are fast becoming the critical bottleneck in affordable access. As we have seen, there is a lot of fibre across Africa but often the cost of terrestrial links is so high as to make operator expansion impractical. It’s fine, of course, if you own the fibre (as many incumbent operators do) but it is a big challenge for new operators. This is not a simple challenge to address but one small thing we can do is introduce more transparency in terrestrial network backhaul pricing. The cost per Mbps varies dramatically across the region. Regulators may simply be unaware of how their country stacks up in terms of national backhaul pricing. A little transparency would go a long way. Of course it would be ludicrous to suggest to operators that they reveal their business agreements but asking for a basic retail rate card is not at all unrealistic. In fact, a single data point, the price of an STM-1 or 155Mbps across 250km or more would be a useful “Big Mac metric” for the cost of backhaul in general. Once the end of the fibre network is reached, it is wireless technologies that typically deliver the last/first mile of connectivity to citizens. Wireless technologies are dependent on national regulatory authorities to grant specific permission to use any given set of radio frequencies. To become a wireless network operator, a license to operate radio equipment within a given set of frequencies is typically required. The one exception to this are the ISM or unlicensed bands (WiFi, Bluetooth, et al.) which do not require a specific license but are regulated through requirements related their design and operation, e.g., power output. Twenty years ago, when mobile networks were just getting of the ground and most of the Internet was carried over copper wires, obtaining a spectrum license was effectively a simple administrative process. Now that demand for wireless spectrum has significantly increased, spectrum licenses have become valuable assets often sold at auction for millions (and even billions) of dollars. In the world of spectrum management, there are three key terms: allocation, assignment, and use. Allocation refers to the designated use of a particular band of spectrum, typically as determined through the International Telecommunication Union (ITU) but ultimately decided upon by national governments. These allocations are the product of years of negotiation and consensus-building through the ITU. Most countries publish their chosen national spectrum allocations. You’ve probably seen a chart like this. They look like the one on the right. Unfortunately, such information doesn’t tell you much more than the designated purpose of a given spectrum band. It doesn’t tell you who has the right to use it i.e. who has a license in that frequency or whether that frequency is actually in use. It can also look somewhat impenetrable to the casual observer with lots of acronyms that are not self-explanatory. What we really want is information on who has been assigned a given frequency, i.e. given a license to operate in a given band and on what terms that license has been granted. A few national regulators publish this information on their websites, most do not. In Africa, Nigeria stands out for their diligence in publishing spectrum assignments. Kenya and South Africa are also relatively good. However, not only do most national regulators do not publish this information but some will also refuse a public request for this information. Once again we have a case of observable good practice like Nigeria that simply requires normalisation across the region. Why is public access to information on spectrum assignments important? Because often there are opportunities to better take advantage of existing spectrum. You may have read about how a Mexican non-profit is using low-cost GSM technologies to deliver affordable access in the state of Oaxaca. The Mexican regulator has set aside a small amount of GSM spectrum specifically for the purpose of enabling rural access. This is an inspiring model that deserves to be replicated elsewhere. But where? Without information on spectrum assignments, it is challenging to understand where those opportunities are. Have a look at the chart to the left. 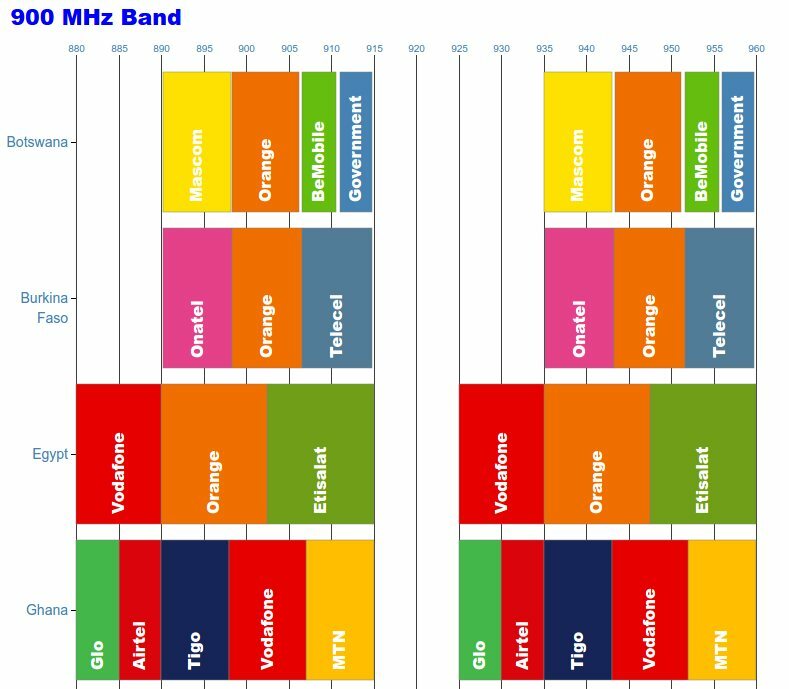 It is clear that Botswana and Namibia have sufficient unassigned spectrum in the 900MHz band to do this. The chart to the left is a prototype of an open data resource on spectrum assignments. Like the AfTerFibre map, the chart at the left has been painstakingly pulled together from various sources. 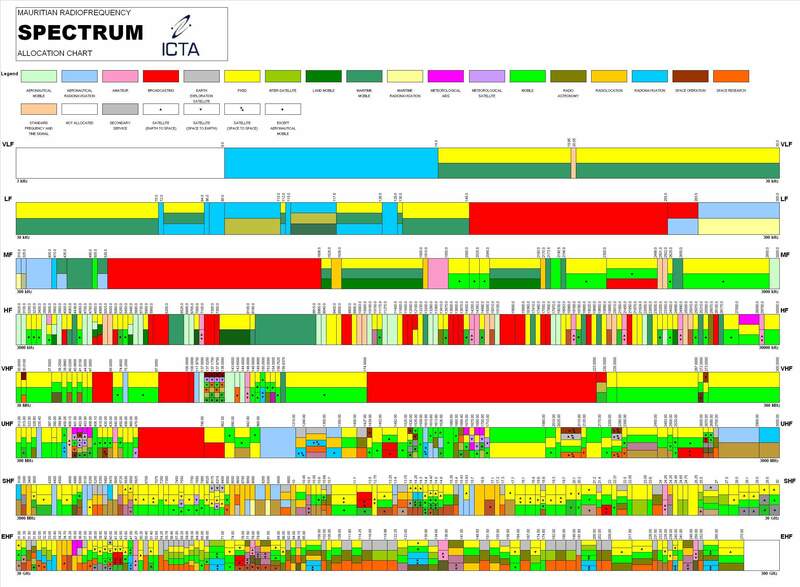 Comprehensive public information on spectrum assignments would be a great leap forward but we want to go even further and identify whether spectrum is actually in use i.e. not just whether an organisation has received permission to utilise a given frequency band but whether they are indeed using it. Public access to information on mobile tower locations is also essential. Why? Because in terms of understanding who has network coverage we currently rely on mobile network operator coverage maps. Mobile network operators do not have the best incentives to be completely rigorous in publication of their network maps. As it becomes more strategically important to connect *every* citizen, understanding exactly who does and who does not have network coverage becomes essential. The simplest way to validate network coverage claims is to know where the towers are, which operators are on them and what technology (i.e. 2G, 3G, LTE) they are using on that tower. But wait, I hear you say. Wouldn’t that compromise the security of the networks? Wouldn’t that create a field day for terrorists? I have had this very response from many people. In fact, towers locations are already reasonably well-known. First, they are easily visible to the naked eye and thus not hard to locate. Terrorists are unlikely to need an online database to find a tower. Second, you can look most of them up online already at Open Cell ID or through Mozilla’s Location Service. These two resources are brilliant but a limitation of their crowd-sourced approach is that they depend on someone (who has their software installed on their phone) being near a tower in order to detect it. To date this approach has been successful in picking a large percentage of the towers in many countries. However, the more remote towers where populations are sparser tend not to get picked up. And it is exactly in these more remote areas that operators are least incentivised to cover, that we want to know more about coverage. Thus having public tower location information would be extremely valuable from the point of view of mapping the unserved and in terms of identifying opportunities for new business models to offer coverage. I have been critical in the past of open government data initiatives that are top-down and not driven from specific needs. Indeed, caution is necessary with the publication of any large public dataset to ensure that that the consequences of its publication are thought through. However, I believe that telecommunications is a sector that is crying out for more transparency and would be well-served by the strategic release of the key data sources mentioned above. This is something that could easily be integrated into existing Open Government Data initiatives. If you are interested in getting involved in a campaign for Open Data in Telecommunications please get in touch. I am grateful to Peter Bloom (Rhizomatica) and Mike Jensen (Association for Progressive Communications) for feedback which corrected some significant omissions and improved the clarity of the above.